On Mar. 3, “Five Nights at Freddy’s 3,” the third entry in the hit indie-horror game series of the same name, was released to the surprise of every avid member of the video gaming industry. For those unaware readers, the “Five Nights at Freddy’s” series places gamers in the role of a nightly security guard working for five nights at a Chuck-E-Cheese-style pizza place called Freddy Fazbear’s Pizza. Unfortunately, the animatronic characters of the restaurant are a bit murderous. The first game had five animatronics, while the second game had 10. The player is unable to leave their office during each night, and their only defense are cameras and other small mechanisms, such as doors or a disguise, that differ depending on the game. The gameplay is simple, yet the game itself is decently difficult. “Five Nights at Freddy’s 3” follows its predecessors pretty well in that regard. The game’s story takes place 30 years after the last two games, and Freddy Fazbear’s Pizza has been shut down during that time. Some people have decided to convert the old location into a haunted house attraction in order to profit off the old legend. Instead of several animatronics trying to kill the main character, however, there is now only one. Further story details would be spoilers, since one of the biggest draws of the “Five Night’s at Freddy’s” series is the lore, which is cleverly hidden within each game and is the reason fans were so excited for the release of this latest one. That being said, the lore explored in this game, while enjoyable, is lackluster when compared to the other games since it lacks the sense of mystery. This lacking could be due to the fact that the game is supposed to be the end of the series, a fact that the creator has hinted at. Despite the story not being as good as the first two games, however, the gameplay of this third installment seems to be much improved over its predecessors. One notable improvement is the camera system. In the last games, the cameras would end up not being used if the gamer played the game well enough; certain critics have expressed disappointment in this fact since the game makes the cameras seem like such a big deal. 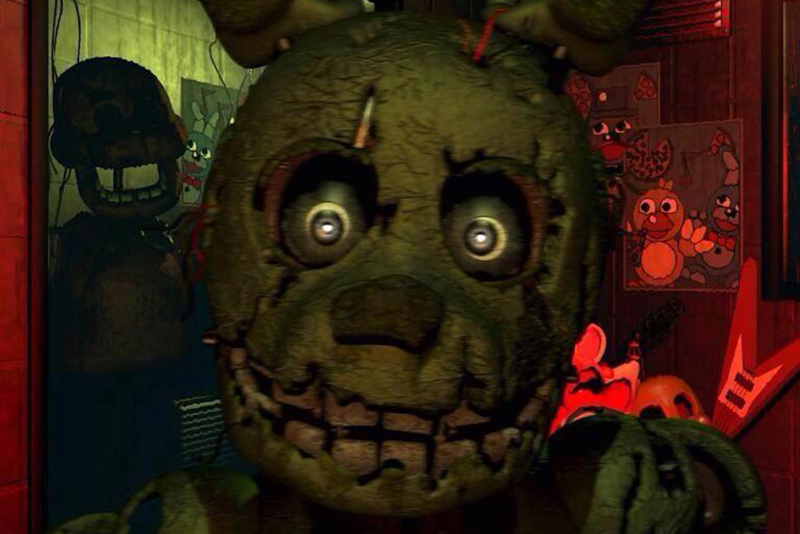 “Five Nights 3” fixes this problem by pretty much requiring the use of the cameras. Since there is only one animatronic, it is mandatory to keep track of him at all times, which is not always easy seeing as how he hides himself pretty well in each frame. The game also introduces a system failure mechanic where practical necessities such as cameras and audio shut down if used too much. Rebooting each system takes time and will make the gamer lose track of the killer animatronic. These mechanics are parts of what makes the game decently difficult. However, the other reason the game is difficult is the fact it does not clearly explain how to not die. Yes, there are cameras, but seeing how there is no explicit way to prevent death (i.e. the door from the first game, or lights from the second game), “game overs” will happen often. Still, one of the fun things to do in “Five Nights” is to figure out the game mechanics, and while this game is no exception, its mechanics seem to be significantly more frustrating than in previous games. “Five Nights at Freddy’s 3” is still a very enjoyable game despite any negative qualities associated with it. Its story is enjoyable despite its lack of mystery, and the gameplay is an improvement despite it being frustrating at times. The game does a good job of continuing the good aspects of the “Five Nights” series while also differentiating itself from its older brothers. Overall, it is safe to say that this game is the best entry of the three, and one of the better horror games out there now.